Three Greens Walk Northill at NorthillWalking RouteThe walk passes through 3 of the 5 greens in Northill Parish, through an ancient wood, crosses the parish brook twice, and includes meadows and open arable fields and extensive views across the Ivel Valley. 4 miles in length, with an optional short cut this approximately halves the distance. 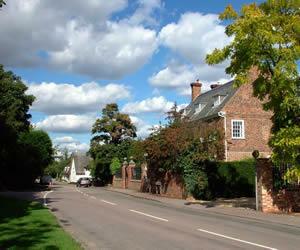 Start Point: This circular walk begins at Northill Village Green next to the church and pub. How to get there by car/parking: From the A1 take the left turning to Upper Caldecote after the B658 and continue to Ickwell, follow signs to Northill. The walk passes through 3 of the 5 greens in Northill Parish, through an ancient wood, crosses the parish brook twice, and includes meadows and open arable fields and extensive views across the Ivel Valley. 4 miles in length, with an optional short cut this approximately halves the distance. Cars may be parked in the road outside the Village Hall and alongside the churchyard wall opposite pond 'A' on the map. Please park with consideration.